to learn how it's relevant to you ? medivize.it is free and secure. View our Terms of Service. Need help? Contact us. First, share with us your findings. Click Medivize.It and check your email inbox. In the email, click ‘continue’ and then answer some questions so we can tell you if the info is relevant. Check your email and click the 'continue' link. Can't find the email? Check your spam folder. We noticed that you already have a Medivizor account, so no need to check your email and answer medical questions. 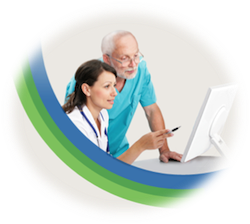 Our medical team will review and analyze the Medivize.it information you have shared with us and notify you via mail when we are done. As we receive many requests, we will do our best to get back to you within 48 hours. Cardiovascular disease: Hypertension, coronary artery disease, or stroke. Kidney stones, Urinary incontinence, Urinary tract infection. If you are coping with any of the supported conditions we will be happy to assist. If not, your request details were logged and we will let you know once we support this condition. “Medivize.It” is a new on-line health information service that can help you sort through the overwhelming and confusing information you find on the Internet. If you found something on the web and wish to know if it comes from a reliable source, what it actually means and if it is relevant to your specific medical condition, Medivize It. Simply type the name of your medical condition and paste the link to the information you wish to Medivize. You may be directed to answer a few more specific questions about your medical condition. Our medical team will then check the source of the information to determine whether it is reliable. If it is, our medical team will then analyze it to determine it's relevancy for your medical profile and will also summarize it for you. We will notify you via email when we have your Medivize.It answer ready. It may take us about 48 hours .